When you are looking for the best furnace company in Riverton, Utah call Warner Heating and Air Conditioning, LLC. We have been in business for over 23 years and have an A+ rating with the Utah Better Business Bureau. Our furnace technicians have the years experience for even the trickiest installation or furnace services. Warner Heating is an authorized Bryant Dealer. Being a dealer allows us to provide you with the best furnaces in the industry that are backed with a 10-year parts warranty (completion of registration form required). Our estimates are always free, we never use pressure sales tactics and we’ll make sure you take advantage of any available Rebates or special offers currently accessible. Contact us at 801-254-6433 for a furnace appointment today! Many home or business owners ask us common heating system questions. Our team of heating and cooling experts have compiled a list of common questions from our customers and we have provided the answers. Our furnace experts are here to help you and will give you the system features and options to make an educated decision for a perfect furnace install, repair or we can complete an inspection and perform a tune-up. Ensuring you have comfort features to obtain whole-home warmth and comfort desired. What is a good brand of gas furnace? We’ve used the Bryant high efficient furnaces for years, but it wasn’t always that way. Years ago, we used a different brand and had a lot of post installation and warranty work which was not good for us or for our customers. Then, we switched to Bryant, and our return visits to fix problems for our customers nearly went away. We will recommend the system that meets your needs. How Long do Furnaces Last?…and How can I prolong the life of my furnace? A gas furnace will generally last 15-20 years depending on the maintenance. The key thing that will prolong the life of your furnace is changing furnace filters frequently. You should also get a yearly inspection or tune-up done. These two small things can give years of additional life to your furnace. If you notice cold air, unusual odors from your vents or notice your furnace is running more often it is time to call as these are 3 common Furnace Breakdown Warning Signs. How often should I change my furnace filters?…and What filter do you recommend? A 1″ filter should be changed monthly. A 4″ media filter should changed every 6 months to a year. We recommend a pleated mid-grade furnace filter with a MERV rating of 8. If you get too high of a MERV rating that also has high airflow restriction, it causes strain on your furnace which has to blow harder to get the air through. Bryant has a great low restriction filter that is a MERV 15. Check out our furnace startup troubleshooting guide or servicing your system page. Do you offer other heating and air solutions? Yes, in addition to our quality gas selections we are proud to offer heat pump systems, geothermal, boilers, ductless and air cooling systems. If indoor air quality is a concern we offer air purifiers, whole-home humidifiers, air scrubbers and more. Call for details. Can you offer HVAC systems for my commercial building or workplace? Yes, We offer light commercial heating and air conditioning systems. Our HVAC systems are an all in one climate controlled solution for an entire building. Warner Heating and Air, we can offer installation, service, and repair for duct, ductless, and line split systems. How Do I Program the Thermostat?…and What Temperature Should I Put the Thermostat On? 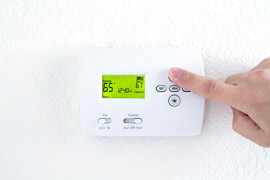 After installation, we will show you how to program your thermostat as we program it for you. Then we’ll leave the manual with you for future use. Contrary to popular belief, there’s no magic number to put the thermostat on. We recommend that you put it where you are most comfortable. 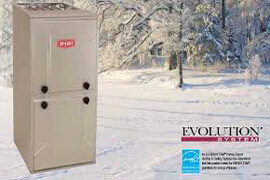 Call us for a free furnace estimate at 801-254-6433!